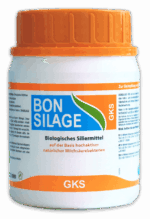 BONSILAGE BASIC. Improved feed quality in silages. 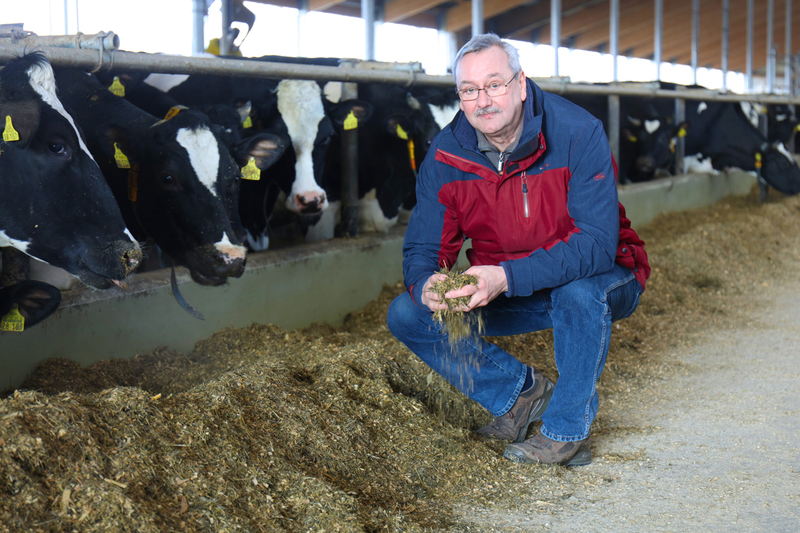 Measurably improved feed quality in silages. 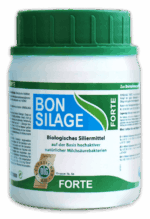 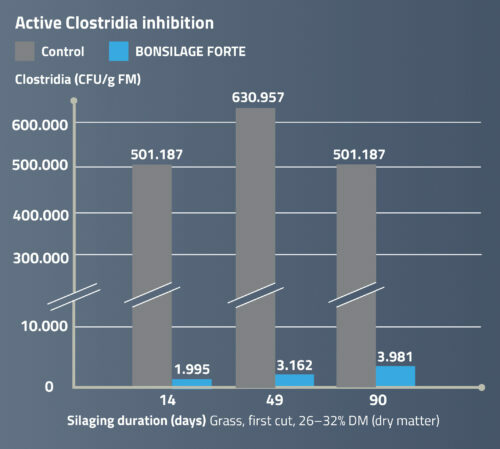 The BONSILAGE products within the BASIC group optimise the fermentation process and silage stability, thereby improving forage performance. 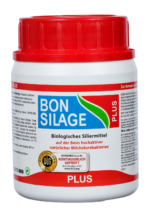 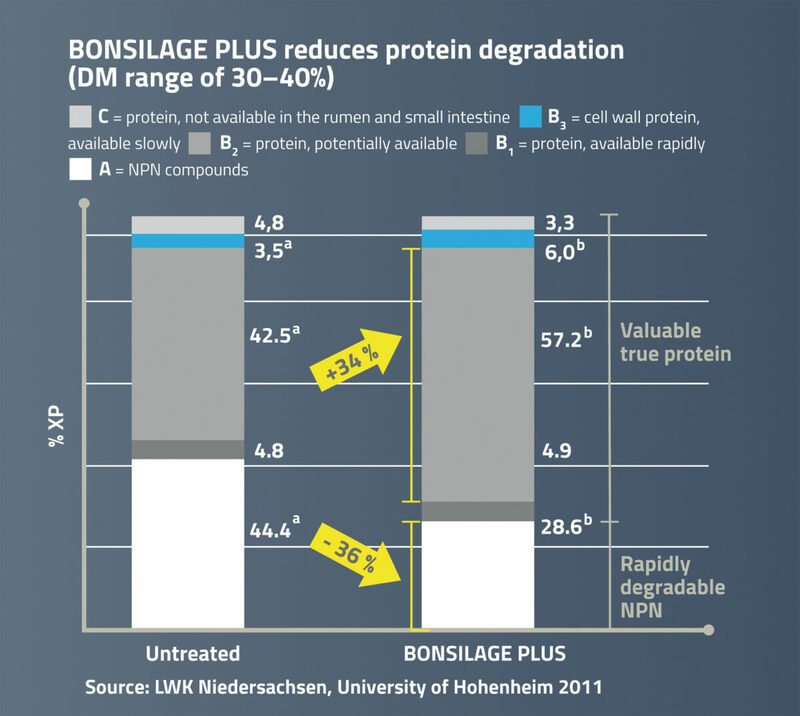 The BONSILAGE products increase the amount of undegraded dietary protein (UDP) in the silage, thus saves other sources of protein such as soybean meal and rapeseed meal. 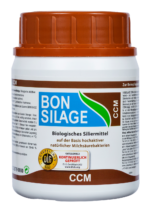 The BASIC product group comprises six different silage additives for optimum control of the fermentation process. 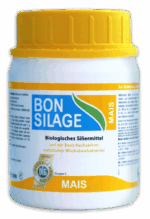 The bacteria strains used here are specifically selected according to the harvest situation. 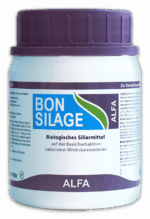 Read farmers’ first-hand reports about their experiences with silage additives from the BONSILAGE BASIC range.